Ms Parfois - runner up in the Midlands National at Uttoxeter last month, has been ruled out of the real thing at Aintree this Saturday after sadly succumbing to a foot injury. 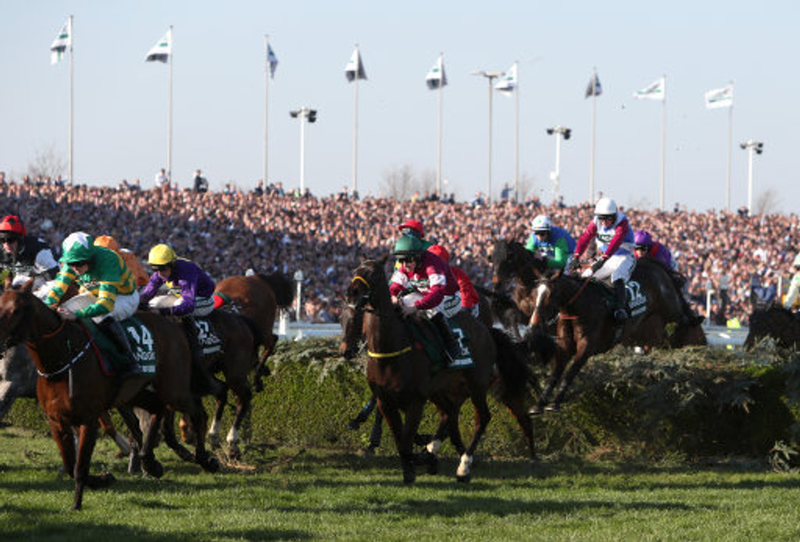 The eight-year-old finished second to National-bound Rathvinden in the four-miler at Cheltenham last year, and looked to be heading to Merseyside this weekend as a positive 16/1 shot. She looked to be well in at the handicap, but a combination of a foot problem and the forecasted dry conditions has provided a good enough plea for connections to revoke her entry, leaving trainer Anthony Honeyball's sole representative coming in the shape of the JP McManus-owned Regal Encore. (Credit: Racing Post) Honeyball said: "It's a combination of factors. "She's had an infection in her foot and I thought by now she'd be A1. That might come right but with the drying ground and dry forecast, we're not going to confirm her today. "Her foot is going the right way and we might be okay on that score but I wanted to take her up to Lambourn on Saturday to jump the National fences and, when we missed that, I just thought we were getting on the back foot. "We're not as disappointed as we should be because we feel the ground will not be right for her anyway and that cushions the blow." Honeyball did state though that the Martyn Chapman-owned mare could still be seen before the end of the season, in the curtain closer at the end of April. He said: "She'll be entered in the Bet365 Gold Cup at Sandown but it would have to be wet. If it ended up wet at Perth at the end of April there is a Listed race for mares, so that would be a possible too." Ms Parfois joins a growing list of absentees, after Bristol De Mai, Blaklion and Daklondike were ruled out in recent days due to differing reasons. Bristol De Mai - who was scheduled to carry top weight in the world's greatest steeplechase, will head to the Betway Bowl instead, whilst Philip Kirby and David Pipe both ruled out their runners due to injury and ground fears respectively. Gordon Elliott - who could smash the record for the most amount of runners in the race from one trainer, has scratched out Alpha Des Obeaux, The Storyteller and the mare Shattered Love. He is still expected to send as many as twelve runners to Liverpool when the ferry leaves on Thursday afternoon.